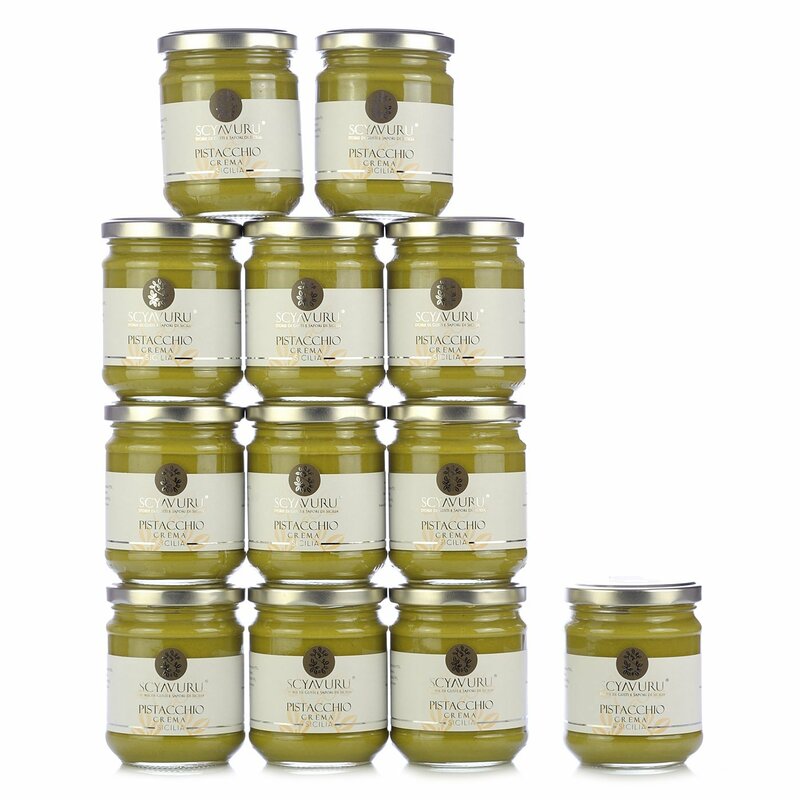 Pistachio Cream 180g 12 pcs. 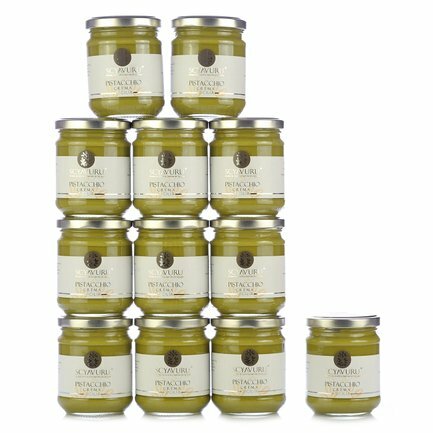 Imagine all the flavour of Bronte pistachios (Slow Food Presidium) in a smooth cream: introducing Scyavuru Pistachio Cream, a speciality for anyone who appreciates taste and high quality. Smooth, delicate and with an unmistakable flavour, this cream is a stylish alternative for enhancing various recipes and for a tasty, energising break, even early in the morning. 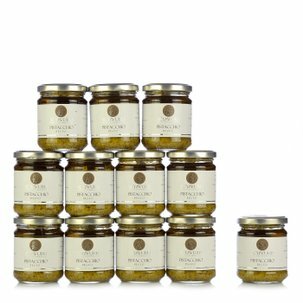 Make sure you never run out: take advantage of the offer Eataly has created for you, with this value pack containing 12 jars of Scyavuru Pistachio Cream. The Scyavuru farms are based on Sicilian folklore and love for the land and its fruits, love for an invaluable cultural legacy, and dedication to preserving the most ancient traditions. Scyavuru is an expression in Sicilian dialect meaning fragrance or perfume. And all the company's exquisite products start their life in the ingredients department, which reflects the drive to eliminate as many stages as possible from the distribution chain to offer consumers the maximum freshness of authentic foods produced in harmony with the natural environment. The most historic and traditional recipes are used, although with a relentless pursuit of innovation that allows the company to cater for more contemporary tastes. 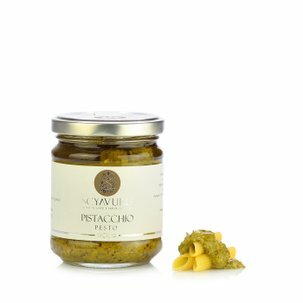 Eataly selected Scyavuru because it brings the flavour of wholesome food to your table.